Home / Manic Mondays! • Pretty In Pinky / Manic Monday! Remembering Stan Lee! 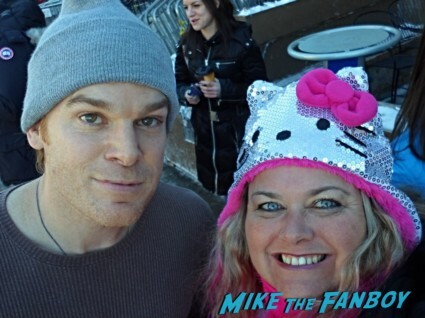 Pinky Talks About Meeting The Legendary Marvel Icon and How Great He Was With Fans! All of us here at Mike The Fanboy are mourning the loss of Marvel legend Stan Lee. He was a gentleman through and through. Always taking time for fans, whether at a con or a premiere. He was such a great guy as well as an amazing talent. Take a look at Pinky’s recap below! Hello, my lovelies. 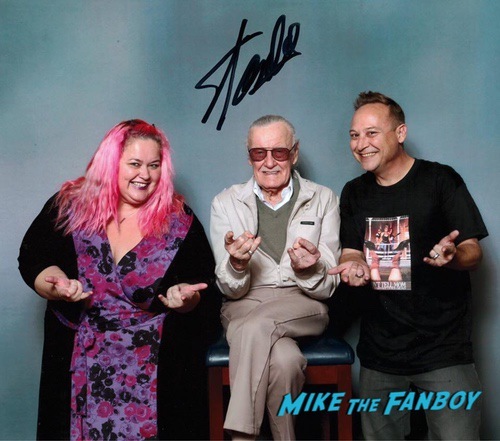 Pinky Lovejoy-Coogan here grateful for the opportunity to have met the legendary Stan Lee before he passed away today at the age of 95. There are very few people on this earth who’ve touched as many lives as Stan Lee has and I feel very blessed to have even been in the same room as the larger than life icon. In fact, Keith and I were at several conventions where Stan was the featured guest and it was thrilling to see the devotion of fans lining up to meet him. They’d come by our table and tell us their dream was to meet Stan – while bringing their entire families along with them. 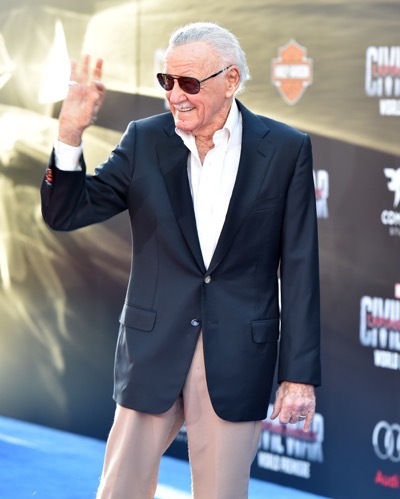 Stan Lee was a legend to everyone and his presence couldn’t be dimmed no matter what the situation. My favorite experience with him happened during the same weekend we were able to get a picture with him – when they roasted him for his birthday. From watching Stan in action as he watched people cosplay as all of his cameos (which was hysterical), to hearing him speak to his beloved wife, Joanie, on the phone (even more hysterical), I was in heaven watching him on stage. When we had a chance to meet him, they told us that if we wanted him to do a certain pose, to just tell him when we saw him. 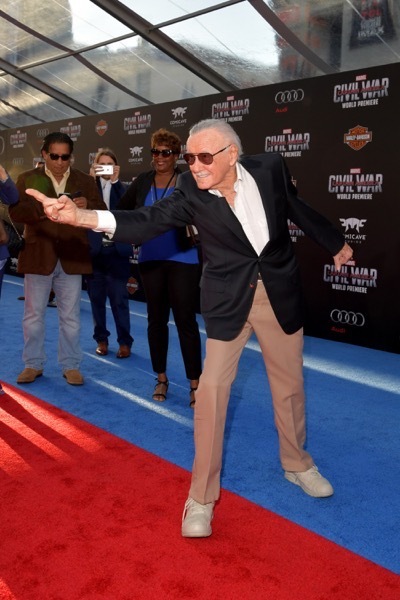 As soon as we saw him, Keith said, “We’re doing Spidey hands.” Stan said, with a smile, “Spidey hands?!? OK, Spidey hands!” in his raspy, sweet voice. He later signed the picture for us, as well, and it’s definitely one of our most treasured photo ops. Stan created so many relatable characters over the years – I can’t even imagine a world without Spiderman in it (along with countless others, of course). Stan’s contributions to the world were vast and he’ll be so very missed. Thank you, Stan, for all of the gifts you gave us. We love you and we thank you. We miss you already. Manic Monday! Pinky Learns The Facts Of Life After Meeting ALL Of The Cast! Kim Fields! Nancy McKeon! Lisa Whelchel! Mindy Cohn! Charlotte Rae! And More! Pretty in Pinky! Screams Wayne’s World! Party Time! Excellent! 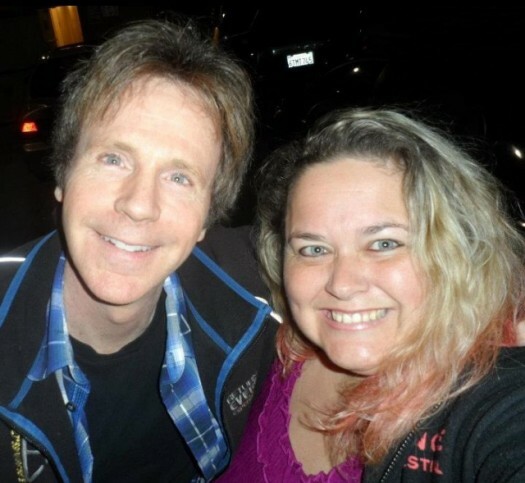 When She Meets Garth Himself Dana Carvey! And Tries To School ME (!) On What Makes a Celebrity! HA!